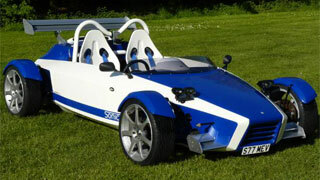 The Sonic 7 is the kit car for the 21st century. Made for the builder who does not want to construct a car originally designed decades ago. With new, fresh lines and proven Focus running gear you can be sure you are building a car that will last. 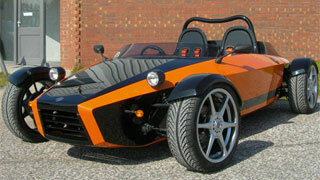 The sharp styling compliments the Rocket but offers more practicality on a mechanically identical chassis. If you find the exoskeletal design of the Rocket to be too extreme but want the same power and suspension, the Sonic is your choice. The Sonic 7’s chassis is a fully triangulated steel space frame and has been designed to provide a strong, stiff structure displaying a torsional strength of more than 2500 Nm per degree. For the roll bar customers can choose from our classic double hoop style or go for the MSA-spec option made of 48.3mm seamless tubing. 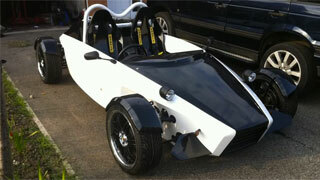 We also offer the Sonic 7 without the roll bar for customers wanting to design and fabricate their own. For power, you’ve got plenty of options. 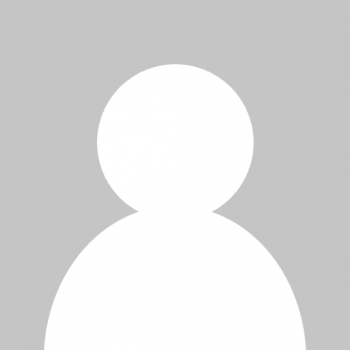 2.0L Zetec engines can be found in high numbers at low prices. Even with 130hp on the stock engine, your power-to-weight ratio will still be better than a Porsche Boxster and a Lotus Elise. Want more power? Add a Ford Motorsports head and cams and you can go to 200hp+. 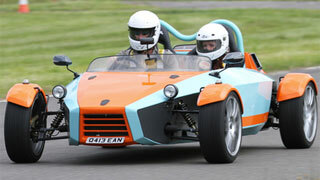 At this level you can expect 0-60 times of 3.8 seconds and a top speed in excess of 140mph. Or perhaps you can find an SVT Focus donor car with 170hp and a six-speed manual transmission. Or go forced induction. Current lead time is approximately 8-12 weeks. Built to order by RTR in Nottingham. Shipping, insurance, import duties and fees can range from $600-$2000 depending on your location. We will make every effort to minimize these costs. 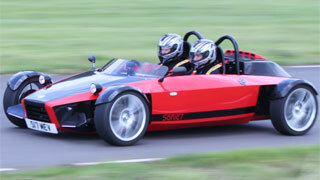 Driving the Sonic 7 is all action with hard acceleration, firm braking, quick gearchanges and lots of wheel twirling. On acceleration, the car is very eager and responsive, the nose lifting slightly in reaction to the throttle, the back end gripping and hurling you forward. The car feels very light on the road and the performance is certainly brisk, especially as the revs climb. I like the car. I like the price and it’s great to drive. 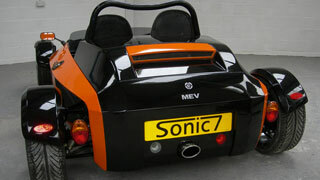 MEV’s Sonic really is super. I think the Sonic 7 is perhaps one of the best designs we’ve seen for many years. It is thoroughly modern, youthful and looks great from any angle. Brilliant.